Whilst Japan has welcomed Bitcoin, the Chinese government has banned several types of distributed trust activities. Technology blogs and financial news networks are buzzing about blockchain, a cryptographic, distributed trust technology. The key innovation is how it reduces the need for central third-party institutions to serve as central authorities of trust — banks, courts, large corporations, stock markets and even governments, for example. Distributed trust enables co-operative forms of organization without a centre. It can distribute power away from centralized institutions to those that traditionally have less power. Such powerful institutions do not let go of their influence easily. The ongoing debate about how to regulate distributed trust technologies assumes that the advocates of the technologies will seek both legal status and enforceability. Scholars proposethat such developments in distributed trust are a competitive threat to nation-state paper currencies. 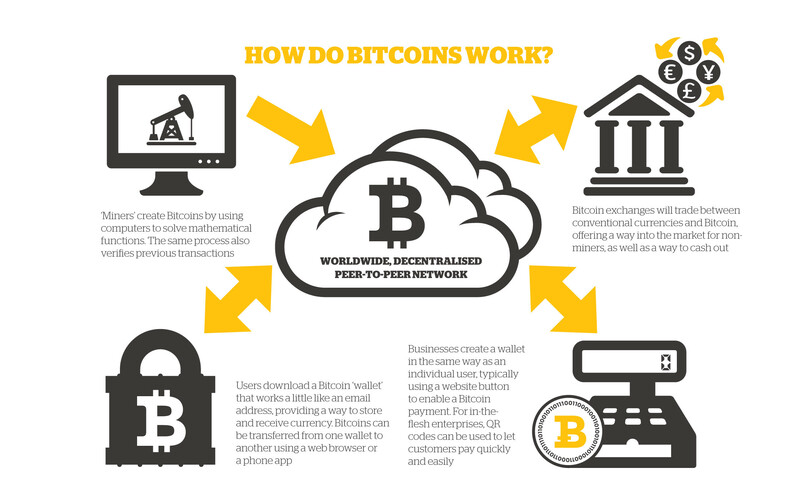 Much of the current, popular focus is on cryptographic currency — or cryptocurrency — applications such as Bitcoin. Regulators are struggling to deal with a fundamental shift in market structure. National central banks are implementing policies to keep control and regulate distributed trust technology. For example, the Chinese government has banned several types of distributed trust activities, and is launching its own non-distributed, centralized digital currency. The Japanese government has made Bitcoin a legal payment method, and major Japanese banks are planning to launch a J-Coin digital currency pegged to the Yen which may be built on a blockchain. Russia initially treated non-approved currency trades as illegal, but is now determining how to regulate them. In fact, traditional centralized, powerful organizations like banks, governments, regulators and technology behemoths are all spending billions figuring out how to use and control distributed trust technologies. But distributed trust technologies have many uses beyond cryptocurrency. Organizational theory has a lot to say about this transition. Distributed trust technologies are organized in what we call a Community Form (C-Form) of organization. C-Forms are not new. They have been around since the 1800s when the Oxford English Dictionary was created by a distributed community of volunteers. The growth of C-Forms was accelerated by technological developments enabling inexpensive peer-to-peer communication. C-Forms came into focus with the last internet-enabled major organizational shift to distributed information-creation platforms. As a result of that innovation, we have seen many forms of information production shift to C-Forms. Open source software such as the Linux computer operating system, which competes with Microsoft Windows and Apple macOS, is produced and shared by individuals in C-Forms instead of centralized software companies. Encyclopedias such as Wikipedia are created by individuals in a C-Form instead of a centralized publishing house. Video content on Vimeo is produced and shared by individuals in a C-Form instead of centralized studios. Similarly, distributed trust technologies are shifting the organizational landscape of how trust is produced and managed from centralized institutions to a C-Form. The development of distributed trust technologies is having a similar enabling effect on the growth of C-Forms replacing the trust functions of centralized institutions. Fundamentally, this is a decentralization of power. Many of our previous assumptions about formal organization are being challenged by shifts to distributed forms of trust. Individuals can now enter into direct peer-to-peer trusted exchanges with strangers. They no longer need a central institution to vouch for the other party. A blockchain-enabled microgrid in Brooklyn is already allowing individuals to sell their excess solar energy directly to neighbours without involving a central utility company. This is a drastic shift to many of the underlying assumptions about how markets and society are organized. As power centralizes, opportunities emerge. Many Silicon Valley success stories are simply centralized platforms. They capitalize on the power and legitimacy of enabling trusted interactions for others. Just as Uber matches riders to drivers, Facebook matches consumers to advertisers. This centralization of power has created an opportunity for distributed trust. The major platforms stand to lose their power as distributed trust takes hold. Such powerful organizations will no longer be needed. But those in power tend to try to hold onto power. Microsoft faced a challenge to its centralized market power as open-source software C-Forms grew. The “Halloween Documents” were internal Microsoft communications about responding to the strategic threat of open-source software. One tactic detailed was “FUD” (fear, uncertainty, and doubt). We are now seeing similar responses to distributed trust technologies. In other words, Dimon is being accused of creating FUD. We used to assume that large centralized organizations had legitimacy and power. But that’s starting to change. As distributed trust technologies develop, we will continue to see this power shift. We must question the role of centralized organizations in a time of distributed trust. The key now is to ensure that we use insights from organizational theory, and sociology, to shape our joint societal future in a world of distributed trust. It’s a world where the role of powerful central institutions will be greatly diminished. With such insight, we will be able to design a more equitable future for all. Are we heading the same way as the dinosaurs?